1) Build customer loyalty - Your customers really want you to succeed, and they really want to tell you how to be successful. They have chosen to be your customer because they conceptually like what you have to offer and you are filling a need. If they like your product they want to make sure you thrive because they rely on you. If they don't like your product they want you to fix the things that make it painful to use. As they say, everyone has an opinion, and everyone wants to be heard. If you ask your customers for their opinion they will feel valued. And if you actually listen and respond to them, they will become infinitely loyal advocates of your product. 2) Prioritize enhancements - It is really easy to take on too much too fast when developing a new product or service. I have seen some scary examples of companies trying to conquer the world by building every feature imaginable into their product at once. Unfortunately this typically means that none of the features are well thought out, and the entire user experience suffers. Rather than developing all of the bells and whistles into your product up front, take some time to read through your users' feedback. It doesn't take long to identify patterns as to the enhancements the majority of your customers would like to see. Of course users don't always know exactly what they want, but they will give you some great insight into the problems they face. 3) Generate more revenue - By cultivating a loyal customer base and developing a high quality product that meets your customers' needs you will by default generate more revenue as your customers evangelize the product they helped you build. So now that you're sold on why to ask your customers for their honest feedback, let me give you an example of a company that does an amazing job at facilitating this process. I recently started using Action Method by Behance to manage my own daily tasks as they relate to both client projects and personal initiatives. Sean actually got me hooked on their project management notebooks a few months ago after he came across them at a design conference. While there are a number of amazing project management tools available online, what I love about Action Method is their unique methodology that helps transform creative brainstorming sessions into actionable next steps. I didn't even have to leave the screen I was on to tell them how much I liked their new product and that I would be overwhelmed with joy if I could access all of my projects and tasks from my iPhone. To my astonishment I received a personal message from a Behance employee the very next day thanking me for my feedback, and letting me know that since a number of other users had also requested an iPhone app they were in the process of developing a mobile version of the Action Method for the iPhone. As if this customer outreach from Behance wasn't enough to make me feel valued, a few weeks later I received another email pre-announcing the quiet release of their new iPhone application, proactively asking for my feedback as well as an early review of the app in the iTunes app store. What brilliant marketing to request that their most passionate, vocal users download and rate their application first. As a result, Behance gained a very loyal customer, obtained valuable user-suggested feature requests and functionality enhancements, and ultimately prompted me to promote their product through this blog post. I can guarantee that they will ultimately generate more revenue from me not just because they gave me the opportunity to speak to them, but because they not only listened, they answered. The other day I was reading an article on web applications that someone I follow on Twitter had posted. I forwarded the article to a colleague of mine who manages a product line that the article discussed, and mentioned to her that she should get on Twitter and start monitoring her products' relevant keywords if she hasn't already. She wrote me back and said, "I signed up for a Twitter account and I don't get it. What am I missing? What is it for?". While a number of social media experts have already written highly detailed posts on how newbies can use Twitter and tools of the trade, I thought I should add my own thoughts on why those outside of the social media bubble, especially CEOs, marketing managers, and account managers, should care about Twitter. You can read the aforementioned posts or Twitter's own "how-to" section for a more formal description of Twitter, but I'll tell you how I think of Twitter because initially Twitter's value proposition for the business world was confusing to me too. To give you a metaphor, Twitter is sort of like if you had the ability to read anyone's IM/LinkedIn/Facebook status updates all in one place. Except, of course, that Twitter is its own web application, with its own users, updating their own Twitter statuses. Why should you care about this? Because unlike the other applications I mentioned, Twitter status updates are public. This means that you can follow anyone's status updates that you opt-in to, and anyone can follow and learn from you. Most significantly, Twitter has become popular in the technology community with reporters, PR professionals, entrepreneurs, and venture capitalists sharing their thoughts in 140 character status messages or "Tweets". This means that by adding yourself and your company to the Twitter community, you can follow other companies and individuals that are related to your product to keep track of trends and conduct market research. 1) Share Similar Interests - When I come across bloggers, reporters, or companies that I find interesting, I follow them on Twitter for even more helpful snippets of information. One of my favorite Twitterers to follow is @venturehacks, the Twitter profile for the Venture Hacks blog. I love the quick advice and articles they share via Twitter for startups and entrepreneurs. Thanks to those I follow on Twitter I find more fantastic articles on marketing, technology, product management, venture capital, etc., that I might not otherwise come across. 2) Market Research - All of these pundits, gurus, and real people sharing short updates on topics they are interested in create an amazing environment to take a peek at what is going on in the world in real time. Beyond Google Alerts on specific topics, Twitter has a search capability that finds any Twitter update containing the keywords you define. Not only does Twitter Search keep track of previous conversations regarding a specific keyword, you can watch these results in real time as new conversations are added, or subscribe to your search's RSS feed to monitor the results over time. As you can imagine, this is extremely useful if you want to keep track of your company, product, clients, or competitors and monitor how they are being perceived. As an example, take a look at the Twitter Search results for the keyword "iPhone". I have used Twitter Search to do reconnaissance on potential employers, vendors, and service providers to see what others are saying about those I do business with. Because it can take some time for the press to report on early stage startups, Twitter Search is a great resource for researching young companies. 3) Add Relevant Content - I integrated a Twitter widget on my Sparkt Marketing website so that I can quickly add new, relevant content to my site when I don't have the time to write a longer blog post. When I find articles, events, or other pieces of advice that I think my clients might find useful, I simply post a short, 140 character tweet on the Twitter homepage and it shows up right on my website. I try to make time to write a new blog post at least once a week, but Twitter makes it easy for me to micro-blog on a daily basis to keep my website current. 1) Identify Issues - A few months ago Michael Arrington of TechCrunch wrote a post on how Comcast picked up on his customer service issue through Twitter. Arrington instigated a series of negative discussions about Comcast on Twitter after he repeatedly tweeted about issues he was having with connectivity and his growing frustration with Comcast customer service. Comcast now has a Twitter presence, @comcastcares, monitored by Comcast's Director of Digital Care. 2) Follow Trends - At a minimum you should start using Twitter Search to track conversations around your company and products. Even better, follow your competitors and B2B clients on Twitter, as well as any reporters or bloggers that cover your space. Think of keywords that relate to your product or market and set up RSS feeds for the relevant Twitter Search results. For example, if I worked on the iPhone team at Apple, I would follow the public Twitter profiles for RIM, Palm, Android, and Windows Mobile. I would also create Twitter Search results for the keywords "iPhone", "smartphone", "PDA", "App Store", etc. 3) Trade Shows - An interesting phenomenon that has grown in the Twitter community is the use of hashtags. Hashtags are sometimes added to the end of a status message, and are used to categorize your status message so that others who are interested in that topic can find your update. Hashtags are widely used by trade show organizers to create a community around trade show attendees. As an example, attendees of Ad:Tech NY are currently using the hashtag #adtech when they Tweet about the conference. 4) Updates - While it is possible to develop a negative reputation on Twitter if you self-promote too often, your users and clients do want to keep track of what you are up to. Consider creating a Twitter profile for your company, and using it to announce relevant information to your community. Information on new products, versions, patches, and tips on new ways to use your service help to both build loyalty for your company and provide an immediate source of product and market feedback when your followers instantly reply to you about your updates. So there you have it, a few reasons why we business folks should care about the social media website Twitter. Feel free to follow me on Twitter here: @eileenzimmerman. Someone asked me the other day how their company should go about conducting market research before the next release for their social media website. How did I feel about blanket surveys, they asked. It surprises me how many companies don't conduct any market research when they develop their products. It almost seems as though the concept is too abstract and cliché for some companies to bother with. So what is market research anyway, and why would you want to do it? According to NetMBA, "In marketing, the term market refers to the group of consumers or organizations that is interested in [your] product, [and] has the resources to purchase [your] product...". According to Entrepreneur.com, a target market is "A specific group of consumers at which a company aims its products and services". In other words, markets are groups of people. In my opinion, this means that if you are planning on conducting market research, you should make every effort possible to actually talk to people. Ideally, you must talk to the very people that you want, hope, and expect to buy your product before you get too far down the line developing hard to use, rarely used, or even irrelevant features into your product. I have seen passionate founders and engineers rapidly build and release products and services that make them wild with delight. Yes, the founders and engineers are elated at the features they included, but scratch their heads when users don't find the functionality nearly as delightful. It is so easy to create your product in a silo, and get so deep into the development that you forget to perform a reality check with the outside world. And let's face it, a start-up with resources already stretched to near breaking point usually has neither the time nor the money for fancy usability labs and focus groups. That's ok. Just start by identifying 3-5 unbiased, objective users to run your ideas by before you start to build. Really, that's it. You would be amazed at how much information you can get by just talking to a handful of people about your plans for features, GUI design, or roadmap prioritization. In my experience, you very quickly start to hear users repeating the same frustrations, concerns, requests, or enthusiasm about the product and features when you take the time to ask and listen. Casual conversations with as few as three dedicated users can help you identify trouble spots or confirm that you are on the right path. For prioritization and potential new features, find out who your most active users are, and ask if they have a few minutes to meet with you or speak with you on the phone. For usability testing, recruit some friends of friends that are far enough removed from the product that they can be true "new user" test subjects. For product improvement and competitive research, reach out to a few users who have reduced their engagement and ask them why. To get in the door with large corporate clients, tell them you would love their feedback on a new service you've designed to solve their critical business challenge. 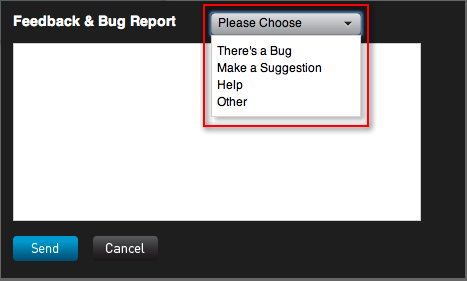 The hardest part about talking to your users is being able to take the feedback. Make sure you have someone who is capable of just listening and absorbing what your users have to say without feeling the need to explain or defend the product. If you can, get permission to videotape the conversation and the user interacting with the product so you can show the gang back home. People always "get it" and believe the feedback more when they see it with their own eyes. If you want to build an extremely loyal following while gathering priceless user feedback, take a lesson from Tim Westergren, founder of Pandora. For as long as I can remember, Tim has hit the road on a very regular basis to listen to Pandora users at his "town hall meet-ups" at universities and other cool locations throughout the U.S. Check out the roadtrip archives on the Pandora blog to see evidence of how Tim conducts "real" market research. I was speaking to a client of mine the other day about Yelp. She owns a restaurant in downtown Palo Alto, and has been in the hospitality industry for years. We were talking about how much business Yelp has brought to her new restaurant, and she said to me, "You know, I don't know how they've done it, but somehow they have really managed to make this user review thing work". I got to thinking about this over the past few weeks, and she is 100% correct. Somehow Yelp has defied the traditional market research user review trap whereby only the extremely satisfied or dissatisfied bother to fill out a comment card or otherwise review a service. Yelp has managed to take user reviews from the biased extremes to create well-balanced reviews of local restaurants, hotels and services for their users. How did they do this? Many web 1.0 sites - CitySearch, Yahoo! Local, and even Google - tried to create local review destinations without nearly the same success. What Yelp figured out is that it is all about the reviewer, not necessarily just the service being reviewed. By enabling social mavens to express themselves and be rewarded with popularity by readers who think they are “cool” or “funny”, Yelp takes online reviewing from reviews where only the extremely satisfied or unsatisfied participate to an interactive community where contributors become cool for their knowledge. By requiring and enabling reviewers to create a profile, Yelpers reap rewards of popularity known as “elite” status on the site, readers consume well-balanced, useful reviews and can discover new local hangouts or “content topics” from their favorite Yelpers, and Yelp clearly benefits from highly monetize-able, targeted traffic. Yelp has perfected the social web model. No one wants to hear what website editors have to say. We want to know what people just like us have to say and what they care about, and those mavens who actively contribute content to the social web want to be rewarded by their peers for doing so.